The lovely Belinda Wanis, creator of Belle About Town and a good friend of Golden Goose PR over the years recently interviewed Miki Haines-Sanger about a typical day in the office. You can read the full interview and see a few photos of the team minus Zoe Sobol, who is now on maternity leave, here. 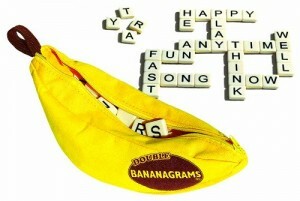 Bananagram has not yet confirmed if the rumours are true that there has been a 300% rise in sales since this article appeared.